I landed in blowing snow, and regretfully, it felt just like home. As I walked up to customs, I was greeted with a smile and perfect English. Much is changing here, but one thing is consistent. When I passed through customs and out into the arrivals hall, I was then greeted by Piotr, Dima, and Dennis with the same love and passion for our Lord that has been there for years. And they send their love to you all! This afternoon I met with several missionaries and I was eager to write about one of them and the profound impact of his efforts.In a village of 2400 people in Belarus, Pavel P. came to a small and mostly dying church of 10 people in 2011 — but also with 20 children. Now, there are 10 people on his music team, 23 members, and over 60 children in his church! Of the 60 children, 25 are from unbelieving families. Pavel spoke of two ministries that have blessed him in revitalizing his church. One was Immanuel’s Child, and through this outreach many of the children that he has reached began to attend Sunday school. The approach of Immanuel’s Child to equip the church for reaching children and discipling them throughout the year has greatly blessed his ministry. 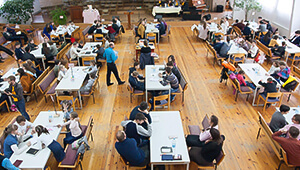 The second way in which our Lord has brought children to Pavel’s church is a little more unexpected — Bible Quizzing. Interestingly, none of the format for Bible Quizzing comes from study of American programs but from Pavel’s heart. He wanted the children in the church to have a passion to know God’s Word. What began in his village with a little creativity has grown dramatically. 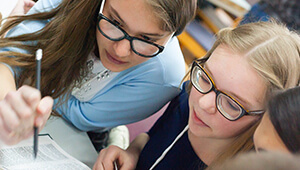 Now with churches in every region of Belarus participating in Bible Quizzing, and with a national quizzing conference, the ministry of Bible Quizzing is encouraging those children studying God’s Word to reach other children in the community who will join them and learn what it means to believe in Jesus and hunger for His Word. I asked over and over if Pavel borrowed from the existing program in the U.S., but he confirmed this is their own development. 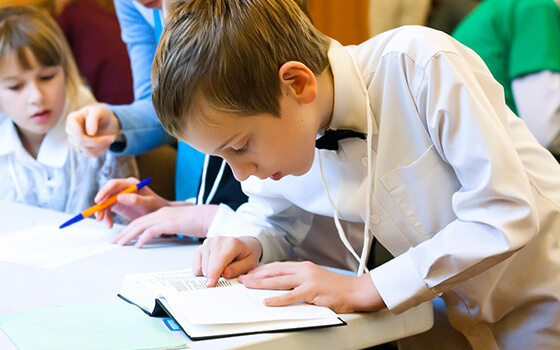 They even sought out a software engineer to write the quizzing program software for the events, and the children are coming in unexpected numbers. Praise God that young lives are hearing the message of the Gospel, and are zealously searching out God’s Word and applying to their hearts! “Every word of God proves true; he is a shield to those who take refuge in him” (Proverbs 30:5). And “Through your precepts I get understanding; therefore I hate every false way. Your word is a lamp to my feet and a light to my path” (Psalm 119:104-105).